In honor of National Adoption Awareness Month, I’m sharing stories from other adoptive families. 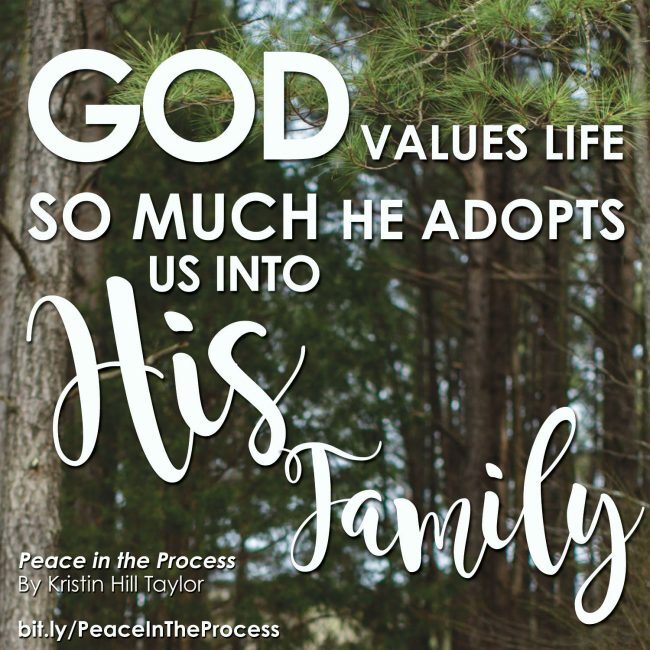 Having these other adoptive moms share pieces of what God has done in their families through adoption is one of my favorite parts of my book, “Peace in the Process: How Adoption Built My Faith & My Family,” so I wanted to give you have a peek into the community of adoptive mommas God has built in my life. Next up in the series this month is Monica Bidwell. Our daughters befriended each other at school and then we quickly became friends too. Our kids are the same ages and our families click. Monica enjoys being an adoption advocate and serves in camp ministry alongside her husband, Scott. They moved to Georgia last year and we miss them! Upon beginning the adoption process in 2008, my husband Scott and I heard many adoptive parents say, “Adoption is not for the faint of heart.” It seemed to be the mantra of the whole process. Looking back, it almost seems to be an understatement. Like so many others, our adoption stories were filled with trials, long periods of waiting, and lots of paperwork. Bringing home our two boys was a larger-than-life endeavor. But, as believers in Christ, it became clear to us we were not simply up against the difficulties of the adoption procedure. There was more going on. We were becoming keenly aware we were in a battle – not a battle against the waiting, the frustrations, and the paperwork snafus, but specifically against the spiritual forces of darkness in the heavenly places (Ephesians 6:12). When believers in Christ decide to adopt a child, it is essentially a declaration of war against Satan himself because adoption is a picture of the gospel. what He has done to redeem His people. The gospel proclaims we were once far-off, unable to save ourselves and spiritually fatherless, but God adopted us into His family through Christ. We, like helpless orphans, could not choose Him. He chose us first. In His perfect love, He grafted us into His family. As believers in Christ, when Scott and I chose to adopt, we not only desired to grow our family, we longed to raise a child in the instruction and love of the Lord. Is it any wonder that Satan would desire to place obstacles in the way of this endeavor? Because we were already parents when we began the adoption process, we were well aware that bringing a child into your lives was no easy feat. In the pursuit of having our biological daughter, we had experienced the heartache and grief of two miscarriages. Fast-forward to the pursuit of our boys, and our adoption processes included disheartening miscommunications, two traumatic disruptions in which birthmothers changed their minds, and the loss of thousands of dollars (much of which was donated by our family and church friends specifically for our adoptions). In the weeks and months following the adoption disruptions, we would often ask the Lord, “Didn’t you want us to adopt?” “Why does the process seem to go so smoothly for some of the unbelieving families around us while our process is so messed up?” “God, can’t you just intervene and have them sign the documents so we can sleep at night?” “Why does every little thing about adoption have to be so hard?” When we would raise these questions, it seemed God would continually remind us of our own spiritual adoption in Him. His adoption of us is no small thing. There were no mounting adoption fees for Him to pay, no extensive mounds of paperwork. The price was infinitely higher. The blood of His Son, the perfect sacrifice to satisfy His wrath, was the cost of bringing us into His family. To participate in an earthly adoption of a child into our family was to picture something holy and it would be a fight to the finish. As we labored for our boys, we grew in our relationship with our Heavenly Father. God was not only interested in bringing children into our home, He was changing us and molding us into His image. To Him be all the glory for allowing us to persevere through battle and finish the journey we started to adopt our boys. To Him be all the glory for finishing the process of adopting us! Makenzie Shewcraft shared last week about how God surprised her with an open adoption. Both these stories are included in my book, which is available at Amazon. I’m also sharing today about community and Thanksgiving at Kathleen Guire’s blog. Beautifully honest reminder about the process, but greater than that about God’s heart for each of us! Yes, I’m so thankful for that! Thank you for this beautiful testament to how God loves us enough to adopt us. I loved your book, Kristin, and I’m loving these testimonies that remind me of how precious an image adoption is for the believer, and what a gift adoptive families are to our world. Thank you, Michele! I’m so glad you can be encouraged. I never thought about the spiritual warfare behind adoption, but it makes sense! Thanks for sharing. God is doing a major work with adoption, and the opportunities for spiritual warfare are so present. I’m glad you’re here, Barbara! Kristen, this is a beautiful testimony. Isn’t that just His way! Loves us too much to leave us where we are. He is always about our greater good, and using life’s lessons, (often times, painful lessons), to make us more like Himself.. Yes! I love Monica’s story and how she shares it. I’m glad you’re here, Rachel! Beautiful post in so many ways! Glad you are sharing these stories! I’m glad you’re enjoying them, Joanne! What a wonderful testimony of God’s work. I had never thought about how adoption must make Satan angry because it is such a picture of what God has done for us. And, yes, the battle is not against flesh and blood, etc. Thanks for sharing your story! Blessings to you! Glad you’re here today, Gayl! What a powerful statement of truth. The enemy really has a disdain for women and kids we know according to the Bible/history. Thank you oh so much for sharing this! Thank you for being here, Meg! Such blessings come from perseverance! 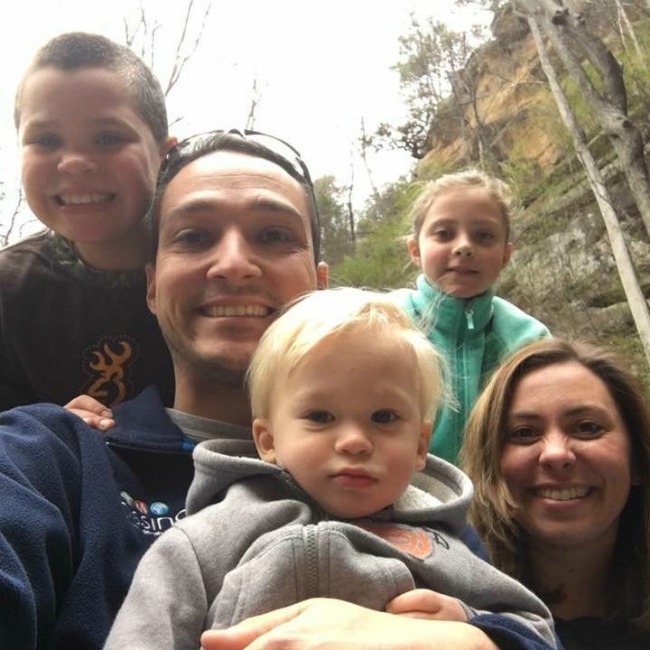 “God was not only interested in bringing children into our home, He was changing us and molding us into His image.” Thanks for these wonderful examples of families who adopt. May God bless each and every one. Thank you for being here with kindness, Lisa! To Him be the glory indeed! What a beautiful story! I love hearing about the stories God writes, so I’m glad you were encouraged.